Anyone who has trawled through some of the extraordinary photos beamed back from the Red Planet last August will have noticed the astounding beauty of the images. It can be hard to believe that those incredible sights captured at the beginning of NASA’s most recent Mars expedition have never been seen by human eyes. Views of our neighbouring celestial bodies have only been witnessed through the lens of a camera since the glory days of Apollo – and that unfortunate fact seems unlikely to change anytime soon. Only manmade robots have ventured into deep space, a strange reality considering the inquisitive nature that fuels the missions. Granted, the photographs taken and experiments performed by robotic probes are invaluable, but man needs to boldly go further in order to better satisfy an undying thirst for understanding. Famed physicist Stephen Hawking once stated “I don’t think the human race will survive the next thousand years, unless we spread into space.” This makes it certain that our own exploration of the Solar System and beyond is not only desirable, but also essential for our long-term survival as a species. So have NASA got a plan to get astronauts back into deep space, or are we simply living in a period of exploratory stagnation? To be fair, they had a plan. But in October 2010, U.S. President Barack Obama scrapped the Constellation program, which had aimed to put men back on the Moon by the year 2019, and after that to Mars, asteroids and beyond. Unfortunately, the Obama administration saw it was behind schedule and over budget – combine that with the economic downturn of the time, and the program was dead in the water before it had a chance to fly. 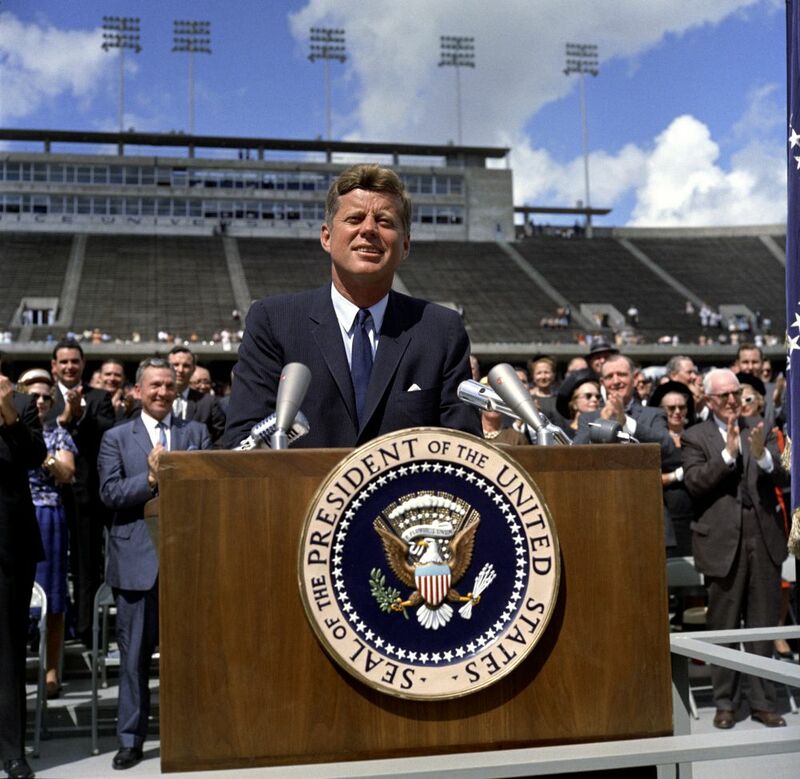 When JFK made his ambitious speech in 1961 making the promise “before this decade is out, of landing a man on the Moon and returning him safely to Earth”, conditions in America both politically and economically could not have been more different than those when Obama cancelled the Constellation program. The Cold War was at a tense stage and a primary incentive for expanded space travel was beating the Communist USSR to the feat in the aptly-named ‘Space Race.’ The USSR had succeeding in putting a man (Yuri Gagarin) into space before the Americans had done the same, and so JFK was determined to prove the potential of his nation’s technology, as well as ensure that the rest of the world didn’t have to forever more go to sleep under a ‘Red Communist Moon’. Sadly, there just isn’t the same urgency as there was in the 1960’s, and America seems a long way off sending people to Mars and beyond at this point in time. With the retirement of the Space Shuttle fleet in July 2011, perhaps it is now down to China’s Space Program, or even the private sector, to take the next step in deep space exploration. Many people ask why robots are sent to these places instead of humans. To put it simply, it all comes down to money. It is much cheaper to send a robot into space than a person. Astronauts require very expensive training costs, the costly return trip to Earth and the recovery, not to mention the fact that mankind’s exploration time is decidedly limited in comparison to that of machines. With the use of robots there is no risk of losing a human life – NASA doesn’t want any astronauts becoming permanent memorials to the space program on Mars, or anywhere else for that matter. Of course, for every disadvantage, there are other reasons why humans should be out traversing the craters and mountains of Mars and other heavenly bodies in place of lifeless, manmade machines. In terms of sensory advantages, humans make quicker decisions and are undoubtedly more mobile than their robotic counterparts. There is also less appeal in following updates from unmanned missions as there is in manned ones. Essentially, it’s much more interesting to see Jimmy from down the road set foot on Mars than it is to watch machine sift through dust at a glacial pace! And importantly for many space aficionados, humans have an emotional response to their work. Asking a person how they felt during a deep space mission creates a philosophical aspect to space travel, which adds to the thrill of manned missions. That said, these robotic probe missions can certainly light up the imagination. The primary goal of the current $2.5bn Mars Science Laboratory mission is to search for places where microbial organisms could have evolved and been preserved. In other words, the Curiosity Rover is on a search for life on Mars, or at least evidence of life in the past. Curiosity is designed to last two years, and in that time mission managers will be hoping for some amazing discoveries to fuel people’s enthusiasm for space exploration. 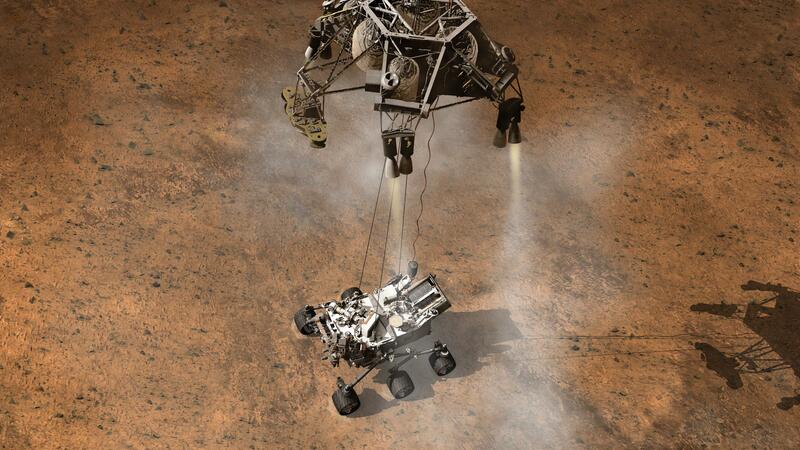 Both robots and humans have a vital role to play in space exploration. James Garvin, the chief scientist at NASA’s Goddard Space Flight Center once made it clear that “There isn’t a battle between robots and humans – that’s comparing apples and oranges.” He’s right. But let’s hope this dormant period of manned space exploration ends in our lifetimes, and that by the time the UCD Class of 2045 graduates, man will, to quote The Aviator’s Poem, have “slipped the surly bonds of earth”, and walked on the red dust of Mars.